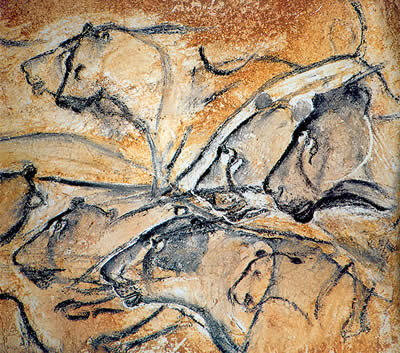 The earliest recorded information consists of paleolithic cave paintings in Chauvet Cave in France circa 30,000 BC. 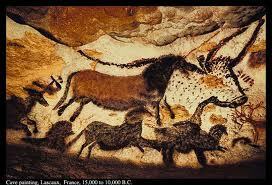 Magnificent paintings covered the wall featuring animals in motion, signed with hand prints of children in red ochre. 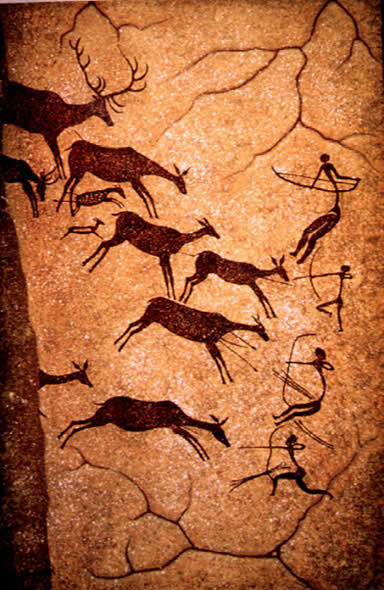 Many cave paintings are deep inside caves, often in inaccessible locations. They would have been painted in darkness lit by small oil lamps or torches. The paintings may not have been for public display, but were for ritual purposes. 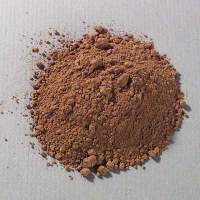 The Lascaux Caves, a cave complex in southwestern France, contain some of the most remarkable paleolithic cave paintings in the world, from about 15,000 years ago.